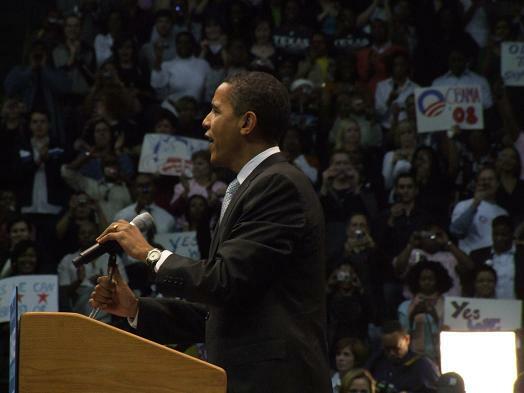 Mi amiga Kim (who posts as TexasLibGirl at UNN) managed to get into a HUUUUUUUUGE rally for Barack Obama in Dallas. Here's her account of how it all went down. A nice, close, professional-quality shot. This former j-school photo editor approves.